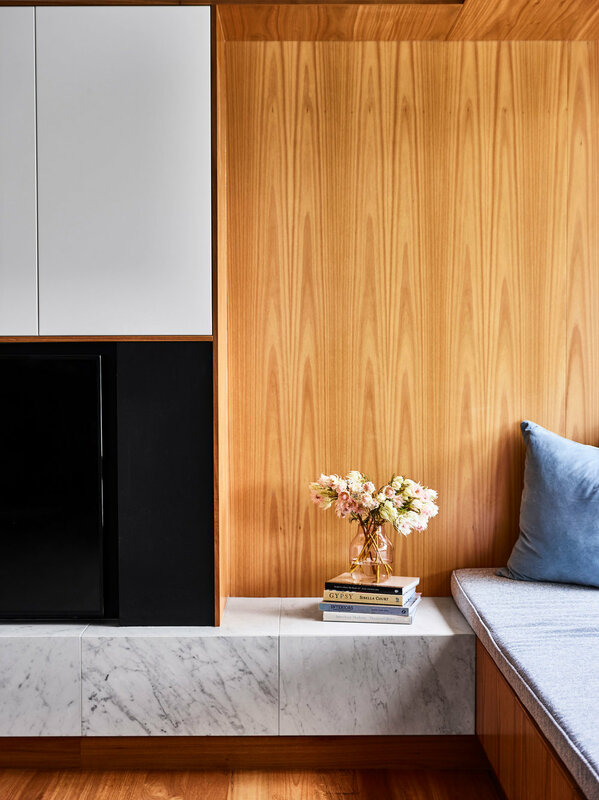 The Toowong Residence was designed to suit the needs of an active young family, with practical elements and a relaxed pared back palette of white, natural timber and grey. Delivering a timeless interior that is tactile, warm and without clutter, emphasis has been placed on spatial harmony and detail to unite the home’s interior aesthetic. Our team was involved with the project from the early conceptual stages, consulting with the building designer in regard to planning and form. This ensured all elements of the house were carefully considered, working in unity to enhance the client’s relaxed family lifestyle. A connection to the outdoor living spaces was paramount for our young clients. Moreover, the home’s original features were seamlessly and respectfully integrated with the contemporary additions, resulting in a design that has longevity and a timeless appeal.